The porcine epidemic diarrhea continues to spread while officials conduct a relentless, but exasperating, search for how the deadly virus is breaching biosecurity defences. Just two days before the fourth case was confirmed on March 15, officials outlined their exhaustive detective work to track down how the virus came to Alberta and how it is moving around. In short, it’s been a lot of dead ends. Following the first case of PEDv (a farrow-to-finish farm northeast of Calgary confirmed on Jan. 7), officials quickly ruled out the prime suspect — transport links to infected sites in Manitoba, Ontario, and the U.S.
“Transport is usually the No. 1 way PED is moved around the country, so that was a little surprising for us,” Keenliside said on a ‘telephone town hall’ on March 13. The second most likely cause is contaminated feed. 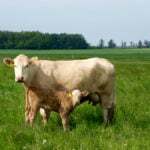 Many of the feed ingredients used in Alberta — including corn and soymeal — come from areas infected by PEDv, and this particular farm was also feeding porcine plasma, the source of the disease in Ontario. Then came the second case on Feb. 21. At first glance, the two didn’t appear to be linked. 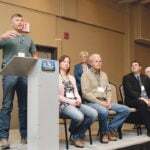 While the second farm was also a farrow-to-finish operation, it was located more than 300 kilometres away (in the Lethbridge area), and the virus didn’t present itself as typical PED. Rather, it started as unusual diarrhea in one isolated pre-grower room. The nursing piglets were fine, and there were no mortalities but the herd veterinarian opted to test just in case. “They caught it early, and within a couple of days, they did see classic PED symptoms throughout the entire herd. But that lead time really helped with biocontainment and cleanup,” said Keenliside. But the differences didn’t stop there, she added. 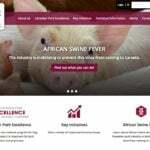 Provincial officials contacted the American protein company that manufactures porcine plasma for Western Canada, and it tracked down the lot numbers from the two farms. But the farms were using two different lots manufactured 12 days apart. So they began testing plasma samples from both farms — another apparent dead end. 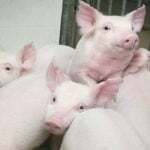 If plasma were the source of the disease, Keenliside expects there would be other cases in other provinces as well, but Quebec pig farmers have continued to feed plasma and haven’t had any reported cases. Other feed ingredients were also tested but as of press time, nothing was found. The third infected farm, confirmed on March 1, was just 30 kilometres from the second one. While it wasn’t feeding porcine plasma, the operations used the same abattoir, assembly yard, and truck wash as the second. This offered a number of promising leads, but again, nothing was turned up by a spate of tests. The environmental testing at each of those sites came back negative — although that doesn’t necessarily mean the virus wasn’t there, said Keenliside. “Just because a particular abattoir or processor tests negative, it doesn’t mean that it’s safe and you don’t need to wash your trailer,” she said. “It means that, at the moment in time when we took the swab or the samples, PED wasn’t in that particular spot. We can’t swab every inch of the floor in these premises, so we might have missed it, or someone might have come in with a contaminated trailer after we tested it. The trailers themselves might be the source of the virus, but again, they haven’t been able to determine that. The third case also presented differently than the first two, in two- to three-week-old suckling pigs that didn’t suffer any mortality (although it soon infected piglets, killing some). The fourth case came two weeks later — a farrow-to-finish operation located in the buffer zone around the third case. Like the others, this farmer noticed an unusual illness rolling through his barn and called in a vet, who ran some tests and confirmed the illness was in fact PED. Given the third and fourth cases are near each other, any links between two operations will come under close scrutiny. Once again, the virus was detected early — a critical factor in minimizing its impact. “PED doesn’t always start with severe clinical signs like explosive diarrhea. But if you’re watching carefully, you can pick it up a few days before that happens,” said Keenliside. “That’s our goal — to pick it up early, because it makes it easier to contain. Once those piglets start scouring, they produce a lot of virus, and there’s a lot more contamination to clean up on your farm. As of mid-March, more than 700 tests for the virus had been conducted — and all had come back negative. So control is the goal. And right now, they’re looking to other provinces. In the last few months, Manitoba has had four reported cases of PED, and Ontario has had seven cases reported so far in 2019. “Given that, we’re looking at links between all our provinces to see if there’s any possible connections,” said Keenliside. They’re also sequencing the genome of the virus isolated in the different provinces to determine if the same virus is the source of the infections. Even so, each of the operations will lose at least a month of production, underscoring the need to ramp up biosecurity. 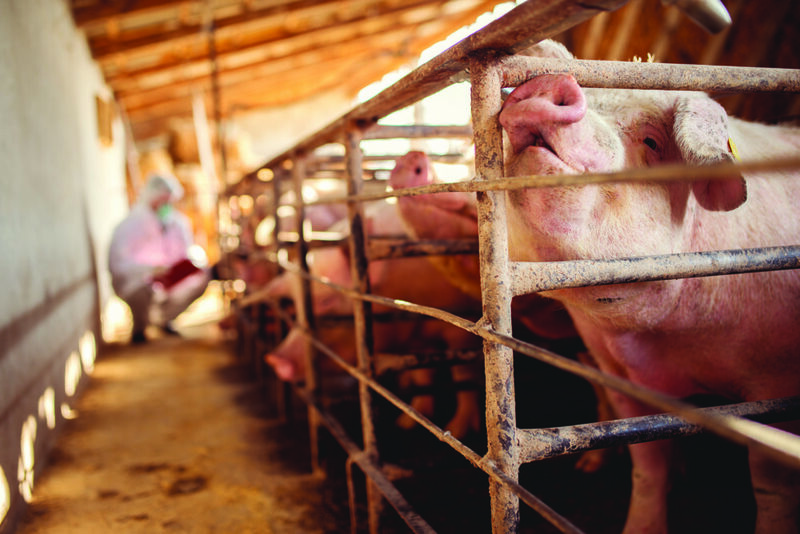 All high-traffic hog sites should be treated as if they were contaminated, particularly transport trailers, barn entrances, and barns themselves. That means boot changes need to be enforced for every person every single time they enter or leave the barn, and trailers need to be washed, dried, and disinfected before and after transporting animals. Producers should also plan to have restricted access and controlled access zones in and around their barns in case the virus arrives. While the search for the source of the virus continues, the culprit may never be found. “PED has been shown to be quite sneaky, and in many cases, we can’t prove the exact source of the virus,” said Lehman, noting that’s been the case in other areas. “We can only come up with a short list of possible routes of entry by ruling out other possibilities.